Fort Worth-based NBC5 remains in a hiring mode, with reporter Ashleigh Barry the latest addition. News director Mark Ginther said Friday that Barry is scheduled to arrive in October and mostly will be covering the city of Dallas and the Dallas police department. 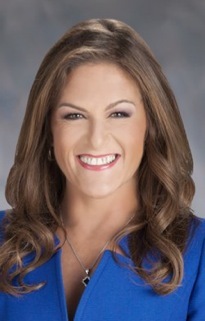 She’s been at KPHO/KTVK-TV in Phoenix for the past two years after earlier stops at WBNS-TV in Columbus, Ohio, WDJT-TV in Milwaukee and KAMC-TV in Lubbock. Barry also has worked at the network level at both Fox News Channel and MSNBC. Her journalism degree is from the University of Massachusetts, Amherst. Ginther also confirmed that NBC5 veteran Kristi Nelson now is an official part of the station’s 5, 6 and 10 p.m. anchor teams. She’ll be an in-studio presence during all three newscasts. Nelson continues to co-anchor the 4 p.m. weekday editions.